Sammie says, the first FOUR people who can find this in the store win a Carhartt Bazooka Tube Can Cooler! The contest starts now and ends on Saturday Feruary 11. So here’s what Sammie wants you to find in the store. Look up, look down and look all around. Once you find it grab Dave or another staff member and point it out to them. And here’s this week’s prize! 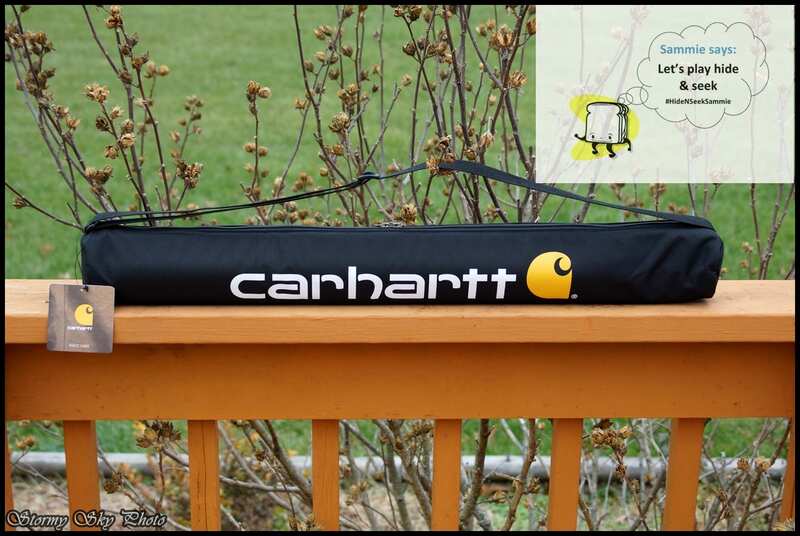 It’s a handy dandy Carhartt Bazooka Tube Can Cooler. Have fun searching through the store! Sammie says, the first five people who can find this in the store win a Carhartt Wallet! The contest starts now and ends on Saturday Feruary 04. So here’s what Sammie wants you to find in the store. Look up, look down and look all around. Once you find it grab Dave or another staff member and point it out to them. Sammie says, the first five people who can find this in the store win a Wolverine Flask! The contest starts today since the store is open and ends on Saturday December 24. So here’s what Sammie wants you to find in the store. Look up, look down and look all around. Once you find it grab Dave or another staff member and point it out to them. And here’s this week’s prize! It’s a nice shiny Wolverine Flask. Pretty cool isn’t it? Sammie says, the first five people who can find this in the store win a Carhartt Wallet! The contest starts on Monday and ends on Saturday December 10. So here’s what Sammie wants you to find in the store. Look up, look down and look all around. Once you find it grab Dave or another staff member and point it out to them. And here’s this week’s prize! It’s a black Carhartt Flip ID Canvas and Leather Wallet. Pretty cool isn’t it?